Do Happy Hour with PORTCO on GiveLocal day! Our goal is to earn the most unique donations between 4pm and 6pm on May 14 for the chance to win an additional $757 towards that “You’re Hired!” moment. PORTCO, Inc. is seeking a qualified and motivated Part-Time Direct Support Professional/Vocational Coach for Waiver Program recipients in the Hampton Roads area. Candidate will be responsible for providing vocational support (job coaching), supervision of work tasks, training and transportation to individuals with intellectual disabilities. The applicant must be capable of maintaining client support documentation, time sheets and incident reports. This is a vital support position and requires a team mentality, good work ethic and flexibility. The ability to follow all DMAS and DBHDS documentation requirements is an essential function of this position. Driving of agency vehicle is a mandatory requirement for this position. Only applicants meeting these requirements should apply. Starting compensation is $12 per hour. Position is part time (approximately 25 -30 hours per week) and no weekends, but flexibility is a must. Advancement opportunities and potential for growth are available for the right candidate. Successful candidate will be fingerprinted and must pass criminal background investigation. Candidate must be physically able to perform the essential duties. PORTCO is an Equal Opportunity Employer. Minorities, Women, Veterans and Individuals with disabilities are encouraged to apply at www.portco.org. PORTCO, Inc. is seeking a qualified and motivated Driver for providing safe transportation to employees receiving supported employment services in the Hampton Roads area using company vehicle. Candidate must have a Valid Driver’s License with a good driving record. Successful candidate will be must pass criminal background investigation. Qualified candidates, must apply online at: www.portco.org! PORTCO is an Equal Opportunity Employer. Minorities, females, Veterans and individuals with disabilities are encouraged to apply. PORTCO, Inc. is seeking a qualified and motivated Grounds Keeping Supervisor for state and federal contracts in the Warrenton, VA areas. The applicant must be experienced in large scale, commercial lawn maintenance and snow removal if needed. Candidate will also be responsible for providing vocational support and training to individuals with varying disabilities. Driving of company vehicle to transport crew members is an essential function of this position. Candidate must have a Valid Driver’s License with a good driving record. • Extensive knowledge and understanding of commercial lawn maintenance procedures, including proper pruning techniques; cultivating; planting and seeding; landscaping; use of heavy and manual lawn equipment. • Ability to maintain and support a Safe Work Environment. • Work schedule Monday – Thursday. Advancement opportunities and potential for growth are available. Successful candidate will be must pass criminal background investigation. Valid driver’s license and good driving record are required. Qualified candidates, must apply online. Only send a resume upon request go to: www.portco.org! Compensation: Pay Rate $ 16.28 per hour for Federal and State level contracts. An additional $4.13 per each hour worked on the federal contracts only will be contributed to a 401(k) plan. Thanks to the PORTCO volunteers for organizing a fabulous 2018 Holiday Party! The PORTCO team thanks volunteers for throwing an amazing holiday party! Watch the video of the party and learn how you can become involved. The congregation of the Basilica of Saint Mary of the Immaculate Conception in Norfolk has been faithfully collecting and distributing food to those in need in Norfolk. However, the program was strained with the cost of hiring transportation for the collection and distribution of the donated food items. 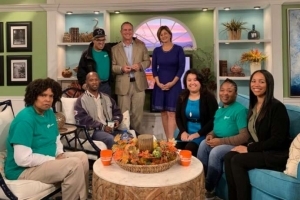 On November 20th, PORTCO was the featured audience segment on The Hampton Roads Show. Co-host, Chris Reckling, interviewed Kate Powell, Director of Fundraising & Grants. Candace Hunter, QIDP Workforce Support Coordinator, of PORTCO also represented the organization. Several PORTCO employees participated in the segment as well. Candace Hunter discussed a new program where PORTCO team members support a local food pantry and soup kitchen initiative that the Basilica of St. Mary’s in Norfolk coordinates. Through this partnership PORTCO team members help by picking up, loading, and delivering food items. PORTCO is pleased to partner with St. Mary’s in this initiative. Kate Powell discussed a great opportunity for donors to amplify their giving on Tuesday, November 27th. On the Tuesday following Thanksgiving, dubbed #GivingTuesday, Facebook and Paypal will match charitable contributions, dollar for dollar, starting at 8am up to $7 Million. Tuesday November 27th is a great time to donate to PORTCO through Facebook to maximize your donations. 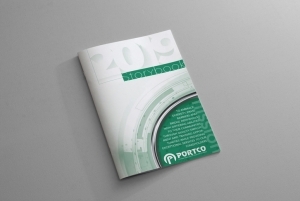 Continue following the PORTCO story as we write new chapters on how we help individuals with disabilities achieve their highest potential and support our community. While every day at PORTCO we embrace individuals with differing abilities in an effort to be the largest employment provider to people with disabilities in the United States, the month of October marks a particularly special time to shout our passion from the rooftops as it is National Disability Employment Awareness Month.